This Personalised Boofle Christmas Reindeer Cotton Sack is a great way to present gifts on the big day. 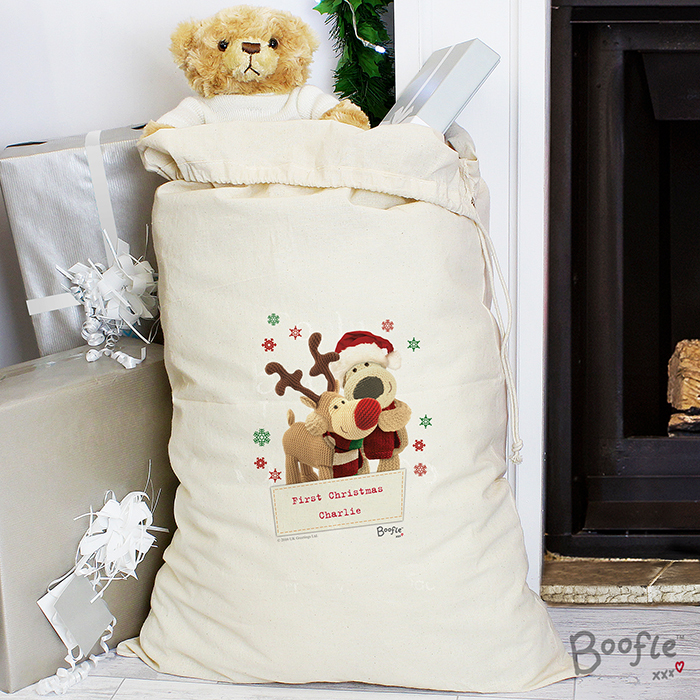 A cotton sack boasting the famous Boofle bear and his adorable reindeer friend on the front, and is supplied with a draw string close. This super cotton sack can be used year after year, and can also be personalised with any message from you. 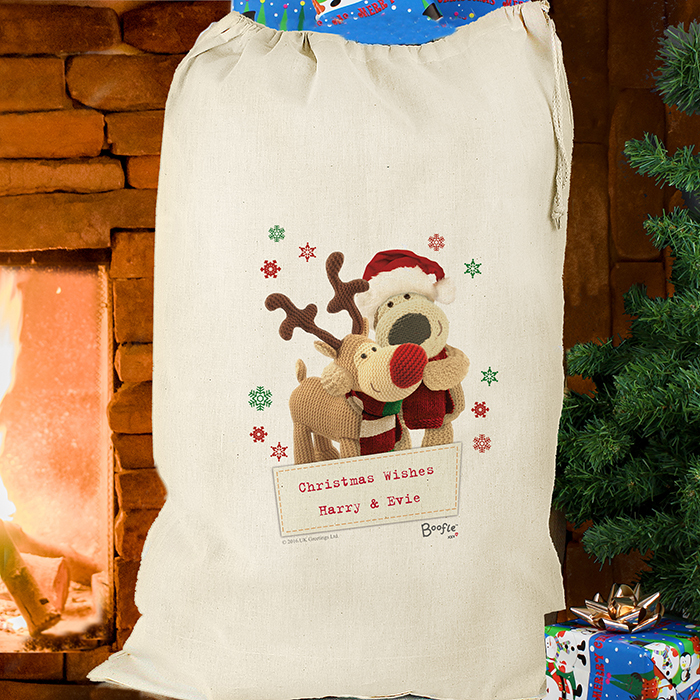 Any 2 lines of message will be added – 20 characters for each of the lines beneath the fantastic illustration, making this a sack even Santa would love on his back! A great gift for any age that will look fantastic tucked beneath the tree on Christmas morning.